I want the boys in my class to believe that books and reading are totally what boys do. Nonfiction books about animal with sharp teeth, explosive science books (volcanos, earthquakes, hurricanes) and books about machines that make deafening noises are easy to come across, but what about alphabet or number books that intrigue boys. 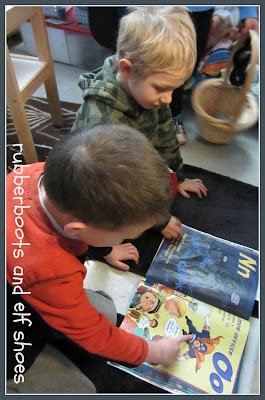 When I found an alphabet book that my boys devoured, I knew that I had hit pay dirt. Bob McLeod has created a superhero for each letter of the alphabet. Their names, their superpowers and other little bits of information about them all connect with the alphabet letter. Check out DangerMan. He does daring deeds every day. He doesn't have a dog. And he duels with dragons. The illustrations are straight out of a comic book. Not surprising since Bob McLeod was a comic illustrator for DC and Marvel for many years. My boys love this book. During "quiet" reading time, I often find a couple of them, hidden in a corner, talking, laughing, pointing things in the book out to each other, showing each other their favourite superhero. Enjoying the book. The girls have been spotted enjoying the book too. 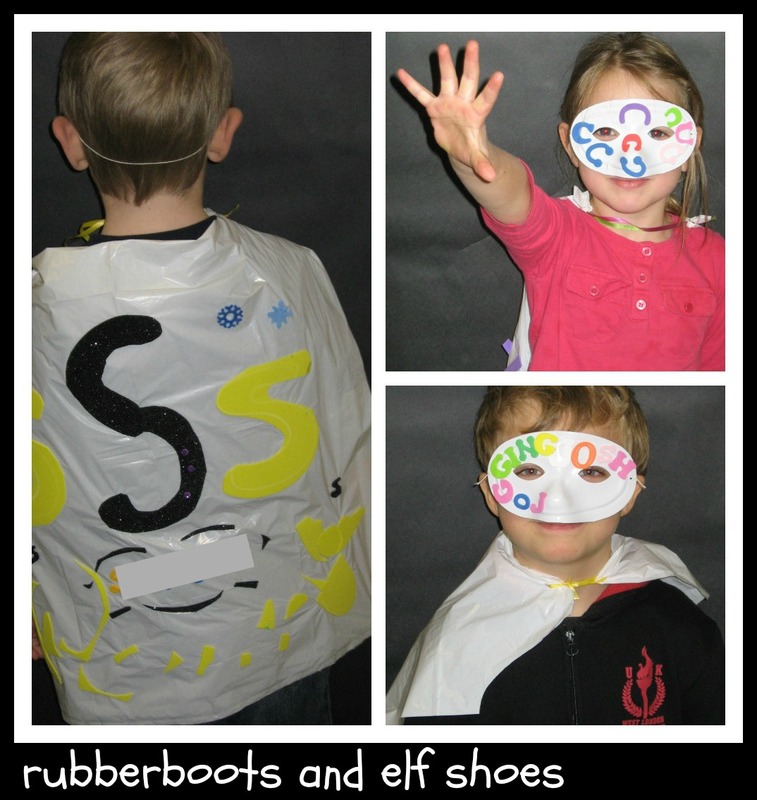 Last year we had a superhero morning, enjoying literacy activities with an adult. The kids made some mighty fine superhero masks and capes. (The capes were kitchen catcher style garbage bags - they worked brilliantly). Permanent dress up capes in the classroom are made out of thrift shop women's skirts. 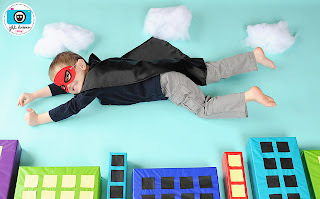 When we need them, scarves and blankets also make fine superhero capes. 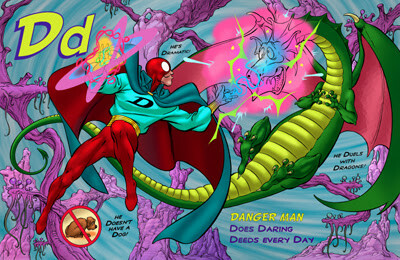 Bob McLeod has a website with some cool superhero printables. Meet the Dubiens has a fun idea for a superhero photo shoot. 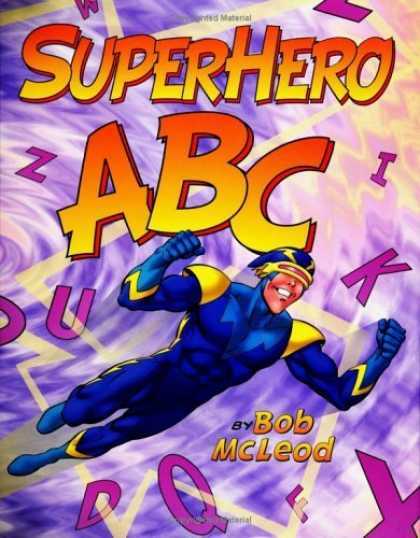 Superhero ABC is one of my best books for boys. Little boys love their super heroes, don't they? When my youngest was 3 he probably spent 6 straight months wearing his red rubber boots and matching red cape. Ha ha! 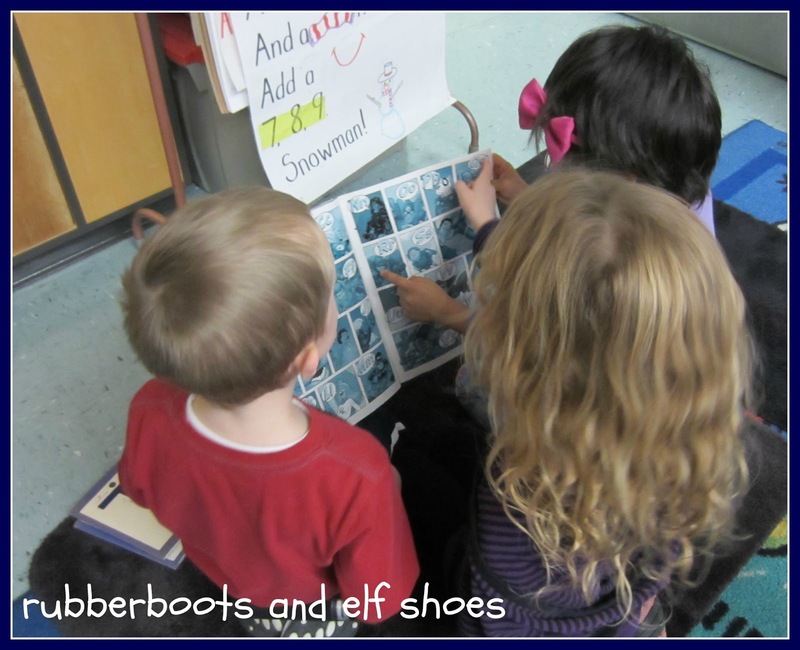 I am sure that your little guy looked super cute in red rubber boots and a red cape! My son wore a purple cape that I made for him for months - his "king cape"! 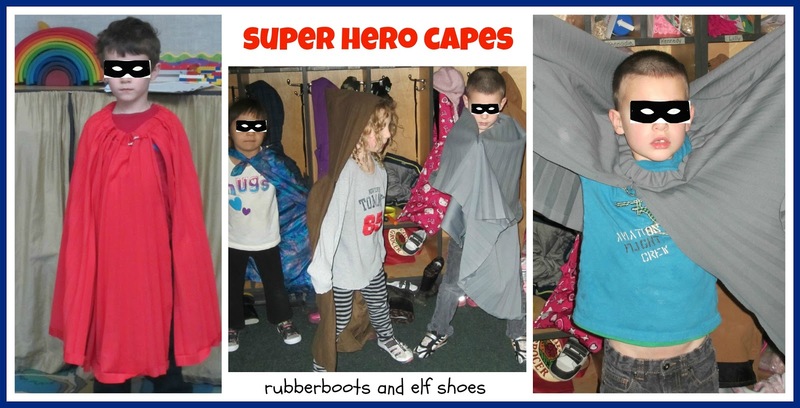 My class is loving capes (pieces of silk and other material) and super heros right now. I think I am going to add a super hero day. I love the photo idea too. What did you use to clip the capes on? On Friday I was browsing picture books at the library when a 4-ish boy came in with his mom. He marched straight to the children's librarian and demanded "Do you have any books on cops?" She came up with "Officer Buckle and Gloria" but that was not what he wanted. "How about army guys?" he asked. Nope, nothing. I'll bet superheroes would have been a good alternative. Wish I had known about this book then, but will definitely forward the title to the librarian in case he returns!